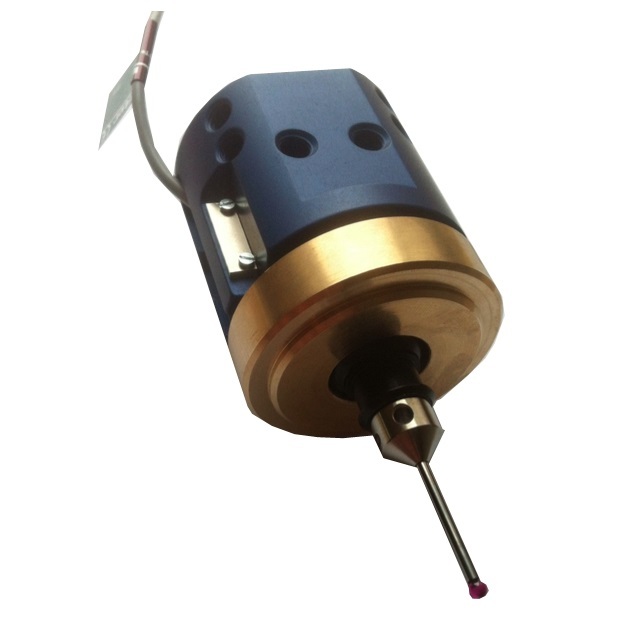 EMP-03 Touchprobe | DamenCNC B.V.
We have been selling the EMP-02 for several years. For the hobby market this proved to be a great product. It used a 3 point mechanism to measure if there is motion in X, Y or Z direction. The EMP-02 does have some problems, which become apparent when using it for long measuring jobs, or very precise jobs. 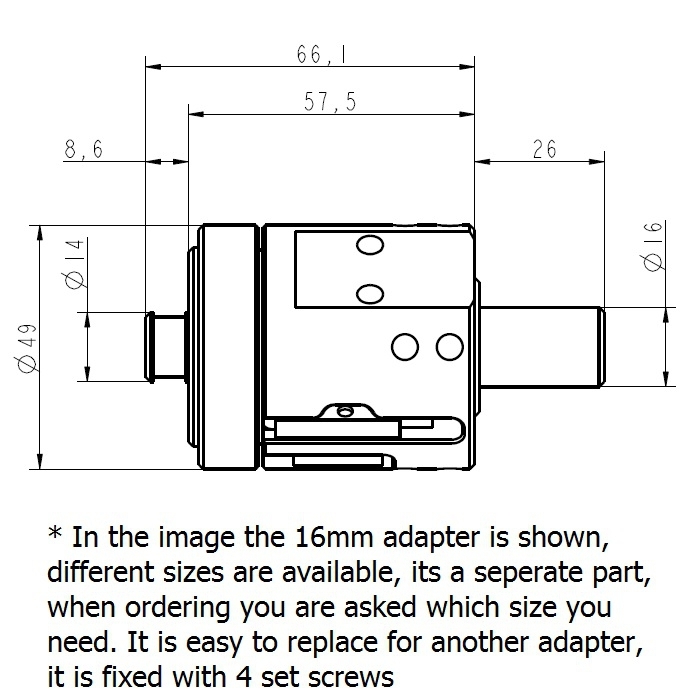 Due to the way the 3 point mechanism is constructed, the stiffness is not the same under different approach angles which can influence the results. In the improved EMP-03 we have solved this by using a ball mechanism that has the same stiffness from all directions. 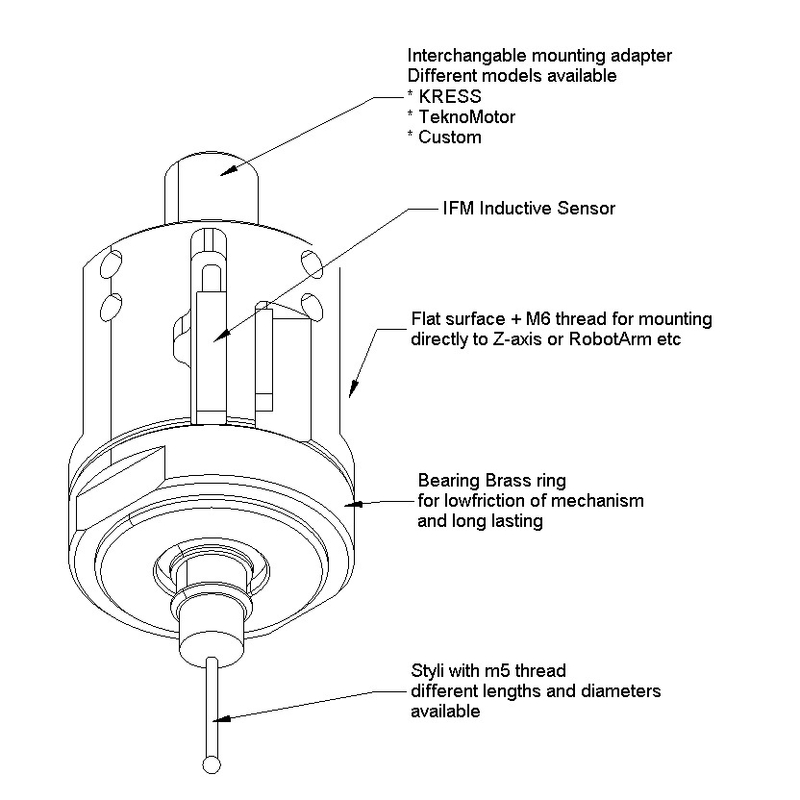 We measure the deviation with an Inductive sensor. This technique is more robust and more precise compared to gold contacts. On customer request DamenCNC has increased the angular and Z-stroke, which allows for faster measuring, since the stroke lengths buys the CNC controller some time to decelerate after the sensor has been triggered.